Polka dots are modern trends in decorating which come and go staying attractive and popular for years. The decoration patterns in two contrasting colors, monochromatic and complementary colors or many bright hues add a playful, youthful look to clothes, furniture upholstery fabrics, wall designs, decor accessories, and art. Lushome shares beautiful inspirations for bringing polka dots into your interior design and reinventing the decoration patterns following the latest trends. Polka dot patterns in soft pastels, light neutral colors or black and white are classy and elegant decoration patterns that are always stylish. These colors make the polka dot versatile, suitable for all rooms, ages, and genders. You can paint polka dots on walls, use polka dot wallpaper designs, add upholstered furniture or decor accessories with polka dots that bring joy into modern interiors and create energetic rooms. 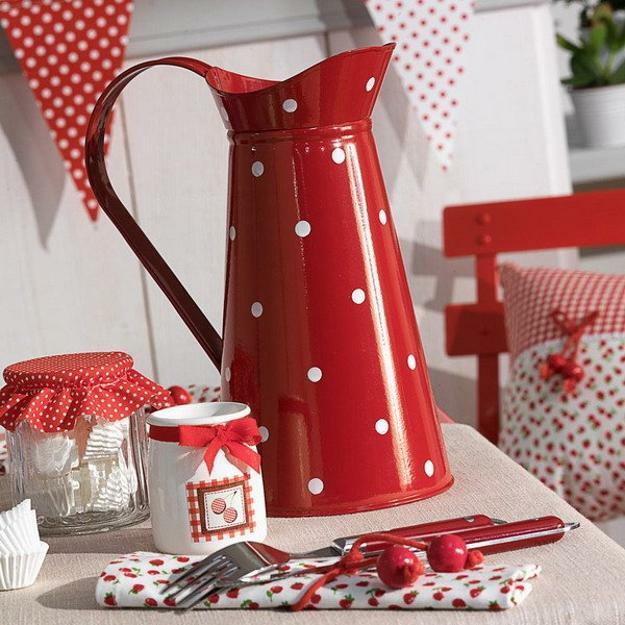 Polka dot is a series of fabulous decoration patterns which work well with stripes, geometric and flower designs. 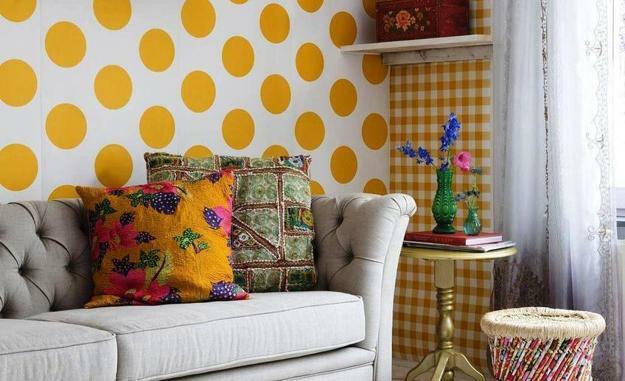 Black and white polka dots beautifully mix with bright colors for an amazing eclectic effect. Favorite color combinations for polka dot decoration patterns include whites. A neutral color scheme with a pop of color is a smart way to make any room decorating look attractive and sophisticated. 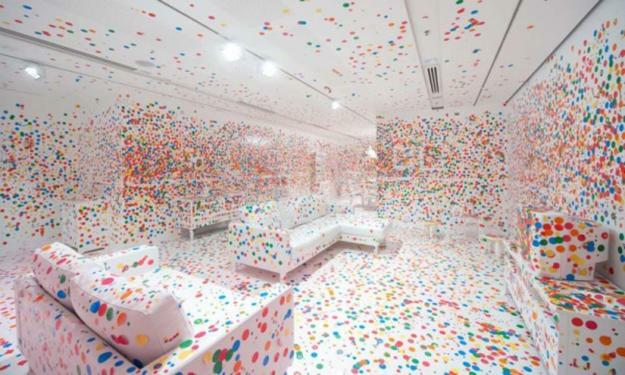 Colorful polka dots and a white or creamy white background look breathtaking. Classy stripes and polka dots bring originality to interior design. Modern polka dots vary in sizes. Classy small dots and fabulous large decoration patterns are among the favorites around the world. The fabric prints and painting ideas are perfect for a fresh and dynamic interior design. 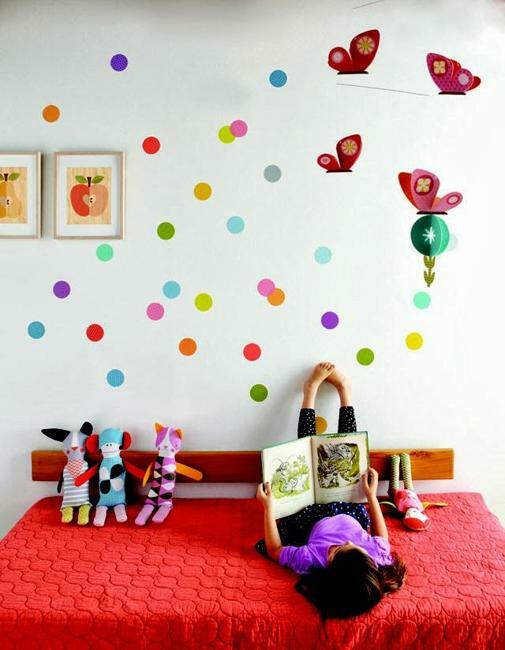 People like polka dots and use the pattern for vibrant kids room decorating and accentuating all other rooms. The decoration patterns in dazzling colors are perfect for kids rooms, but make sense for any room design if you are adventurous, creative, and cheerful. Various variations of the traditional patterns, – small and large dots in dark, light, bright, pastel, and monochromatic colors, allow to find the best decoration patterns and color combinations for every room. 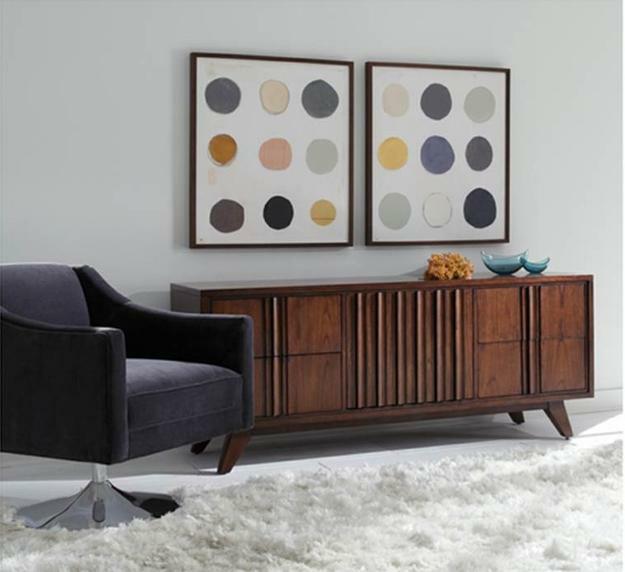 Shaped like ideal circles or designed in softly rounded shapes, arranged with a regular spacing or grouped randomly, – the modern trends that allow creatively personalize room decorating ideas. Soft light pastels, black and white decorating with polka dot patterns are perfect for the classic interior design. Polka dots in neutral colors keep room decorating elegant while adding an exciting touch to modern interiors. Textiles and home fabrics with polka dots, decor accessories, and upholstered furniture pieces can add gorgeous accents to room decorating in classic style. 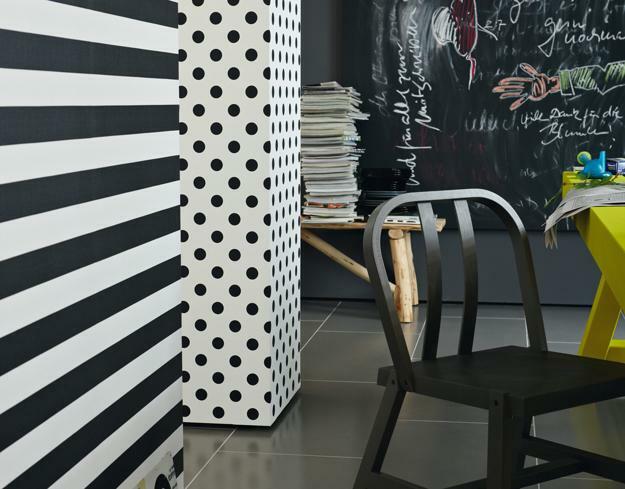 Bold combinations of stripes and polka dot patterns add a stylish flair to modern rooms. Soft pastels work well with polka dots in all sizes and make room decorating feel romantic, pleasant, and feminine. Neutral color combinations and large decoration patterns emphasize the contemporary simplicity of the interior design. Combined with contrasting vibrant colors and dark hues they can add a masculine touch of brutality to modern interiors. 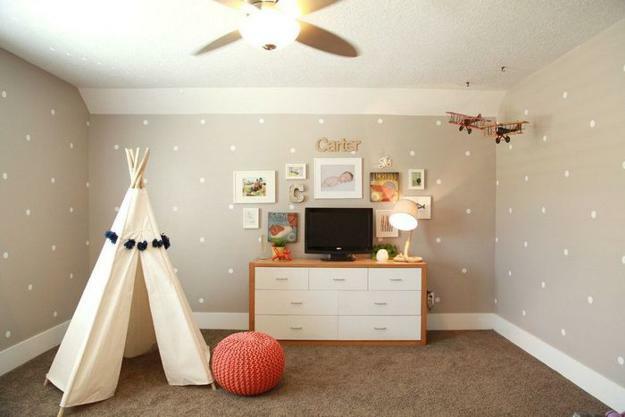 Small polka dot patterns are ideal for soft, tender, and sensual room decorating. 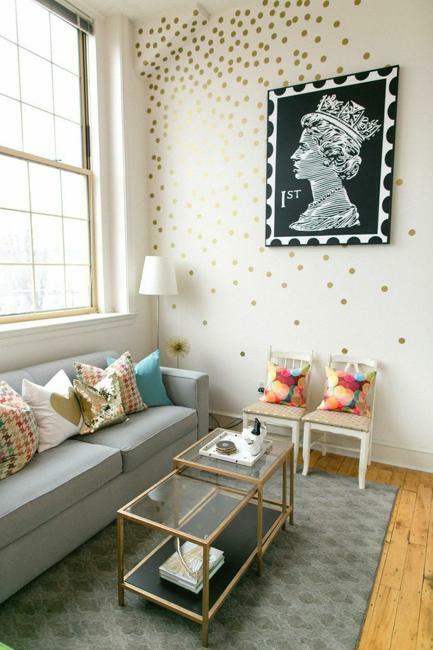 Polka dot patterns can create spectacular accents that personalize and spruce up the modern interior design. Creative details, accent walls, upholstered furniture, tableware, textiles or wall art are modern ideas for decorating with polka dots. The latest trends bring the unique charm of dotted designs into modern living spaces. 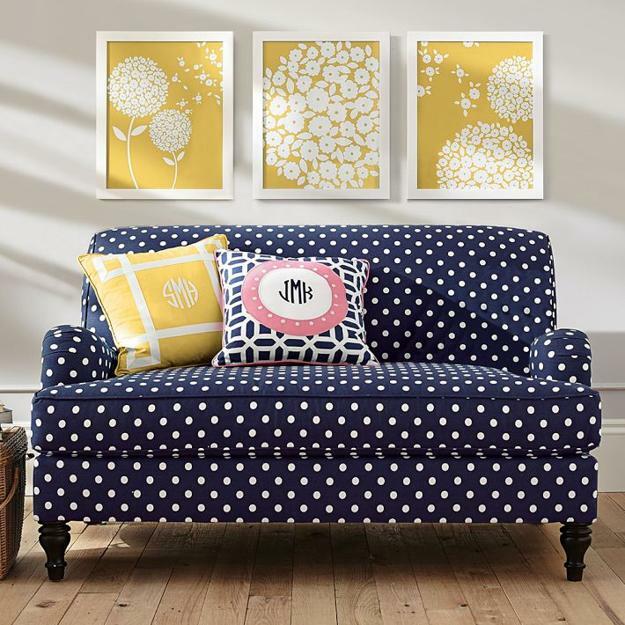 Contemporary home interiors look beautiful with polka dots in small to medium sizes. Eclectic interiors can combine polka dots with stripes, geometric or floral designs, exotic patterns, and ethnic ornaments. The decoration patterns in neutral colors are ideal for creating visual comfort in modern rooms. Decorative fabrics, textiles, soft and playful accents with polka dots are perfect for accentuating modern interiors in all styles. Pleasant light pastels, pink, blue, green, sand, creamy yellow, pale gray color tones, golden colors, cocoa, light and dark brown colors and warm wine red color shades are stylish choices for polka dot decoration patterns. 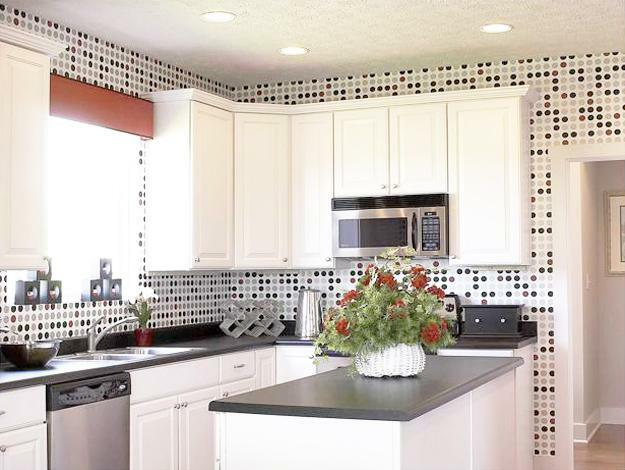 Sharp contrasts are current trends in decorating with polka dots. Black and white decorating ideas or combinations of vibrant colors with whites look spectacular and dynamic. 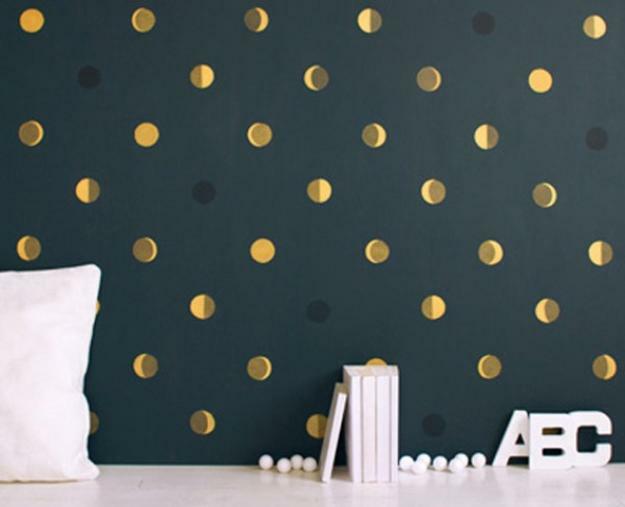 Dots in various sizes transform interior design with dramatic accent walls. Contemporary designs in contrasting colors show off originality in arranging the dots in sequences or randomly. The latest trends add unique, creative and surprising accents to room decorating. Playful and tender polka dots in light pastels are stylish alternatives to contrasting color combinations. 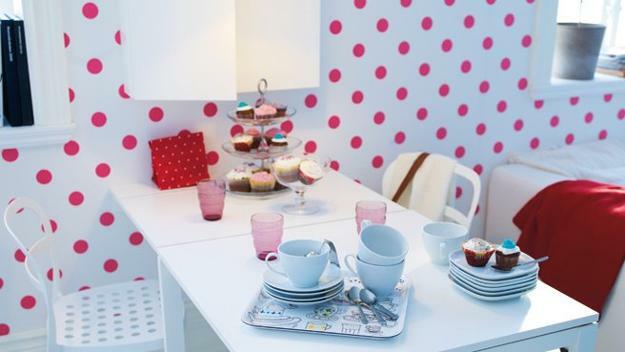 Soft colors evoke positive emotions and help relax while polka dot patterns bring a playful mood into home interiors. Perfect for kids rooms, these combinations work for any bedroom decorating, guest rooms, entryways, kitchens, dining rooms, and home offices. The energetic decoration patterns on white or off-white backgrounds create a cheerful feel, add rhythm and fresh look to wall design. Polka dots in pastels are colorful, informal, and modern room decorating ideas that please and delight.